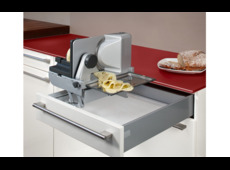 ritter's built-in and foldable multislicers can disappear very easily in the kitchen drawer, they are space-saving and immediately ready to use. 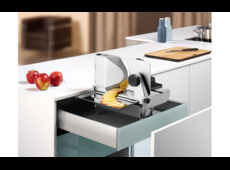 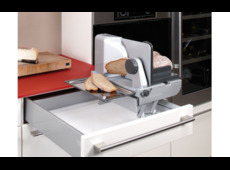 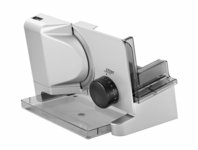 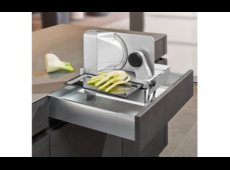 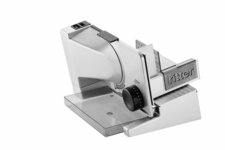 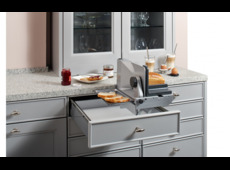 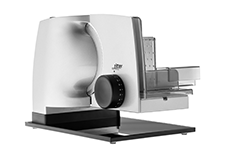 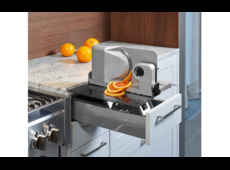 We offer built-in solutions for food slicers with a swivel- or foldable mechanism and as high-mount version. 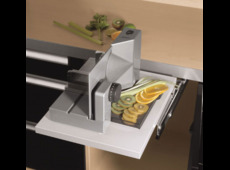 The built-in food slicer can be stored in the drawer for having more space on the kitchen worktop. 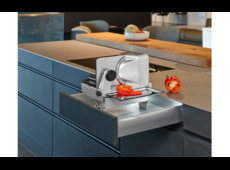 A truly efficient kitchen built-in-system!